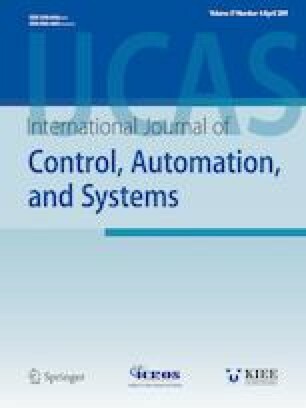 This paper puts forward a novel stability criterion of all cases of the time-delay fractional-order financial systems(FFS) including FFS without time delay, FFS with constant time delay and FFS with time-varying delay. This novel stability criterion is mainly based on a new stability judgment method which contains the deduction of Wirtinger inequality, Integral mean value theorem, fractional-order Lyapunov method, and a new functional transformation lemma which we deduced. This new functional transformation lemma simplifies the structure of the novel stability criterion with fewer constraints. Thus, compared with the previous stability criterion of FFS, the novel stability criterion of FFS has clearer structure and lower conservatism. Moreover, the novel stability criterion of FFS can also satisfy all fractional-order operators from 0 to 1. Last but not least, some numerical simulation examples are provided to verify the effectiveness and the benefit of the proposed novel stability criterion of FFS. Recommended by Associate Editor M. Chadli under the direction of Editor PooGyeon Park. This work is supported by National Nature Science Foundation of China (No.61573299), the Science and Technology Plan Project of Hunan Province(2016TP1020), the Natural Science Foundation of Hunan Province (No.2017JJ2011), the Research Project of the Education Department of Hunan Province(No.17A031), the youth project of Fujian Education Department (JAT170457), the Fujian Natural Science Foundation (2018J01806), the Open Project of Fujian Provincial Key Laboratory of Information Processing and Intelligent Control (MJUKF201737) and the Scientific Research Program of Outstanding Talents in Universities of Fujian Province. Zhe Zhang received the M.S. degree from the School of automation, China university of geosciences (Wuhan),Wuhan, China, in 2015. He is currently pursuing a Ph.D. degree with the College of Electrical and Information Engineering, Hunan University, Hunan, China. His current research interests includecomplex networks,chaos,and nonlinear dynamics and control. Jing Zhang received the M.S. degree from the College of Electrical and Information Engineering, Hunan University, Hunan, China, in 1984, and the Ph.D. degree from the College of Electrical and Information Engineering, Hunan University, Hunan, China, in 1997. He was vice-chancellor of hunan university from 2002 to 2013, and he was once party secretary of the party committee of Xiangtan university from 2013 to 2016. Fanyong Cheng received the Ph.D. degree in Control Science and Engineering from the Hunan University, China. His current research interests include Machine Learning, Pattern Recognition and Image Processing. He is working at Fujian Provincial Key Laboratory of Information Processing and Intelligent Control, Minjiang University, Fuzhou, China. Feng Liu is a Professor at the School of Automation, China University of Geosciences, Wuhan. He received his Ph.D. degree from Huazhong University of Science and Technology in 2008. From 2009 to 2011, he was a Postdoctoral Fellow with the department of electronics and information engineering, Huazhong University of Science and Technology. His research interests include nonlinear dynamical systems, complex systems, complex networks, impulsive hybrid system, and intelligent control.